What are the “barbi” in the Fattoria dei Barbi? The Fattoria dei Barbi gets its name from the barbo (pl. barbi), the “Italian barbel,” a fish commonly found in the fresh waters of Tuscany’s lakes and streams, Barbus plebejus, a member of the Cyprinidae family. It should be confused with the catfish, even though many believe it is a catfish because of its “barbels” or mustache. 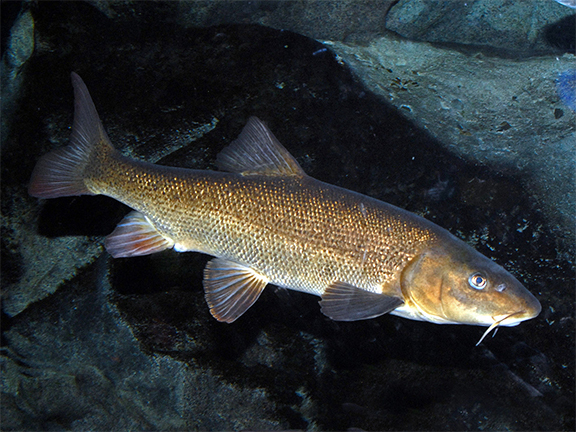 The Italian barbel has been around for a long time and was even described by Roman-era naturalists. Its name comes in turn from the Latin barbatus meaning bearded. It’s believed that the farm was so called because of the prevalence of barbels that populated its waters.